It’s Monday afternoon, all of the neighbourhood kids are curled up on our couch watching a movie, and I’m feeling rejuvenated after a great four day weekend. I made the conscious decision to ‘not work’ for the four day weekend, and spend time focusing on family, friends and the to-do list. It’s amazing how much we were able to get done with an extra two days off. The house is clean, groceries bought and we had the opportunity to enjoy some family time, outdoor walks, some Christmas shopping and a date night. We also finally found some time to develop a workout schedule to get our fitness routine back on track. Since I declared this a ‘no work’ weekend, I had initially planned to take the week off blogging as well, however I thought I would write a few words about balance, and what it means to me, as it has been on my mind this weekend. From the outside, I’m willing to bet that many people do not see my life as ‘balanced’. I work long hours and have two young children at home. However, I also have a fantastic husband who works at our boys’ elementary school as a Special Education Assistant so he has the ability to walk to and from school with our kids. He is able to do the regular morning routine, pack the lunches and juggle play dates and after school activities. We are also blessed with two amazing sets of parents who want to play an active role in our kids’ lives, and offer to take care of them or take them to activities as much as they can. For us, our schedule works. Some weeks are crazier than others, and many days I arrive home minutes before my husband has to leave for soccer practice or a shift at his second job at the Fire Hall. However, our schedule works for us and we all enjoy what we do. I know that I am very fortunate to have the support system I do to let me work long hours when needed. I know that my kids are growing up in a rich environment surrounded by people that love them. When I think of my own childhood, I was fortunate to have a similar situation. Although I grew up in a single parent home, it did not feel that way as my mom’s extended family was always there. I had an amazing relationship with my grandparents and did not feel I missed out despite my mom’s busy schedule. It’s interesting how many comments I receive from others about my job. People make comments all the time about the ‘time away from my kids’. When I decided to apply for an administration position, many people suggested I should wait until my kids are older. I often wonder if men in the same position get these comments. Maybe. Not so sure. Last month I had someone come up and tell me that I should not be blogging because I was taking even more away from my kids. I found that really interesting. Would the same person think critically if I had said I watched TV after my kids went to bed? You may wonder why I started this blog talking about balance only to defend my busy schedule. Well – after spending four days re-charging, I have come to realize that balance means something completely different to each individual. Balance is something that cannot be prescribed but rather something we can obtain when we get to know ourselves well and understand what we need to bring out our best self. Some workshops on balance will use a balance wheel to help people recognize the commitment they are making to different areas of their life ranging from spirituality, career, relationships, exercise, mental health etc. However, my experience has been that everyone leaves these workshops recognizing that they are not doing enough in at least one area of their life. This weekend, when I thought about balance, I realize that I do not see balance as a wheel, but more like a teeter totter. 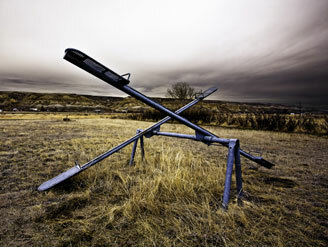 For the teeter totter to work, I need to balance the two sides: my personal and my professional lives. The centre is made up of who I am and what I value and it keeps the teeter totter together. If I put too much weight on either side, the other side becomes off balance as well. I know that I have often said I am a better mom because I work (and I don’t mean to judge stay at home moms at all…. In fact, I give them credit because I have no idea how they do it! That really is the hardest job in the world!). I have also come to recognize that I am a better vice principal when I spend time with family. Time together nurtures my soul and recharges me. When the two sides are balanced, both sides take flight and the teeter totter works. Sometimes one side is higher than the other, but in general they work together to create balance. Just like a teeter totter, when I put too much weight on one side, I don’t get better at what I do… instead I eventually hit the ground. This is true with both my personal and my professional life. My husband will be the first to admit that I start to act a bit nutty by the end of summer. After re-organizing closets and paying way too much attention to minor details of life, it is definitely time for me to get back to work. Similarly, when work gets crazy it’s important for me to remember that putting too much time in, doesn’t really help anyone, as really it just leads to an eventual crash where one side hits the ground. To make good decisions, I need to maintain a sense of balance. I know that when I take time to run or workout, I go to work with more energy and a more positive disposition. When I schedule ‘downtime’ and turn the computer off for a weekend, I am able to feel recharged much more so than a weekend where I am sneaking work in at night. I need to recognize that my job will never be done, so choosing to stop working needs to be a conscious choice. I once heard someone say that every time we say yes, we are saying no to something else. This has stuck with me and I often ask myself what I am saying no too. I try not to say ‘no’ to my family more than I need to. Chris Kennedy, Superintendent of West Vancouver, recently wrote in his blog about President Obama. President Obama has made the conscious decision to try to be with him family by 6:30 PM each night. Upon reflection, Chris recognized that if the president can reach this goal more nights than not, then a superintendent of schools should be able to do the same. I admire this goal, not only because it allows for more time with family, but also because it sends a positive message about leadership. I think it is important to model what we expect from others. If we don’t want students and teachers working around the clock at the expense of their personal commitments, then I believe it’s important to model the same. Perhaps what I recognize most about balance is that each of us is very different, and has different needs to be our best selves. For one person, balance might mean staying at home to raise children, and for others it might mean working part time. For some, depending on personal commitments and their stage in the life cycle, balance may be possible while working over sixty hours per week. Balance cannot be prescribed because there isn’t a formula that works for everyone. However, I believe each of us should take time to reflect on what we need to achieve our best. For some yoga and a good book sound appealing while others prefer the adrenaline rush that comes from extreme sports or roller coaster rides. The activity itself is not important, but rather the outcome. Recognizing what makes us feel alive helps us discover what we need to nourish our spirit and reach our personal sense of balance, rather than conforming to others opinion of what balance looks like. Balance comes in different shapes and sizes. So dig deep, figure out what you need to take flight and let both sides of your teeter totter get some air. This entry was posted in Balance, Leadership, Schools. Bookmark the permalink. A wonderful metaphor … ‘be the change you want to see in the world’ in whatever way you define ‘balance’. Thanks Pontefract – I’m sure you can relate with your crazy wonderful life with your careers and 3 goats! I think you have figured out balance better than I have! That fitness part just doesn’t seem to ‘fit’ in for me. I too am often amazed at how many people ask me how I have time to blog, but I only end up writing 2-4 times a month, usually only 3 times, and I watch almost no television, and no sports. Funny… right after I wrote about balance my husband got sick and one kid woke up with crazy tooth pain. There are definitely days when our lives are out of balance. The biggest take away for me is that taking time away to workout isn’t really taking time away as I always feel so much more productive after. That being said, there are certainly days I can’t find time to follow my own advice! I like your term ‘re-balancing’. Just found this post you wrote awhile back. It really resonates with me for so many reasons right now. Thank you!